Whether you are looking for a traditional family bathroom for a period property or cutting edge modern wetroom, we can help design and install your perfect bathroom. 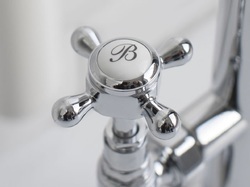 With hundreds of styles of fixtures and fittings from some of the leading British and European manufacturers and thousands of options on WCs, basins, baths, showers, taps, tiles and accessories from the best known brands, we'll be able to put together the perfect bathroom just for you. And with a range of different price points, we can help make your budget go that little bit further. Browse below to get a flavour of what we can do for you. Whether freestanding or built in, our wide range of bathroom furniture is sure to impress. Big, small, modern, traditional - we have baths of all sizes and shapes to suit (and fit) every room and budget. 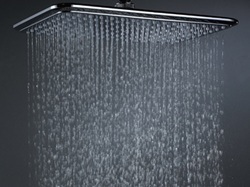 From basic handheld to the most luxurious rainfall showers, trays, screens and full wetrooms, we do it all! 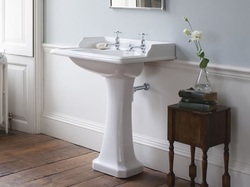 Wall mounted, freestanding or countertop - you will find all shapes & sizes of basins and sanitary ware. Simple and functional or a statement feature - choose from thousands of taps, radiators and accessories! 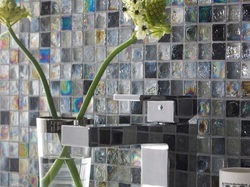 Modern or traditional, from small mosaics to large format tiles in ceramics, glass or stone - we offer it all!